If you are looking for a therapy dog or competing in obedience, herding, conformation, agility, tracking, Schutzhund, companionship and much more the German Shepherd quite comfortably fits into all of these since they are such versatile beings. Those who work with their German Shepherd describe a bond like no other that they have experienced in life, regardless of the type of work done together. ​Thinking about bringing home a new family member. Should you choose a puppy or a more mature friend? These questions will be dependant on your lifestyle, purpose and the time that your German Shepherd needs from you. I have written and provided photos and products here straight from the heart. Please click through the tabs and feel free to send me an email with any of your comments at the Contact tab. ​products that I have personally used or have personally sourced out on line. ​Keep your favorite dog pinned close to your heart with a handmade German Shepherd Dog in Gait Pin! Shop now at Cherrybrook.com for an array of German Shepherd themed gifts for dog lovers. We Love ALL Fur Kids here. However, "the German Shepherd experience is the dog event of a lifetime." 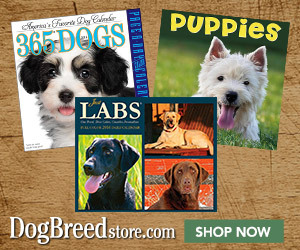 Shop Dog and Puppy Calendars Online. Free Shipping Available Today! the DogBreedstore gives you the best in breed specific calenders, apparel, signs, mugs, leash hooks, figurines, and much more. 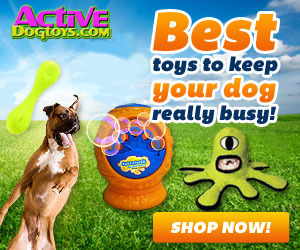 Since 2004 Active dog Toys is a trusted brand offering unique and interesting dog toys including the Bubbletastic Bacon Bubble Machine. Nowhere else will you find the largest selection of dog bubble toys and dog puzzle toys! REFRESHING dog Toys that are New, Interactive and Fun-Fun-fun! No ordinary toys but dog toys that dogs and dog parents have been searching for! Have some great fun and make many fun filled fond memories with your pooch! Active Dog Toys is a leader in innovative dog fun and toys! The Newest and Best Interactive Dog Toys - Dog Puzzles, Toughest Chew Toys, Bacon Bubbles and More. Active Dog Toysis not just your normal ball and pull toys- their toys are really innovative, one of a kind, unique and many will keep your German Shepherd's mind and body active while having so much fun,! Raw Paws Pet Food assists you in providing your dog with the healthiest pet food, treats, chews, supplements and much more. Offering affordable and practical solutions for all pet parent's. 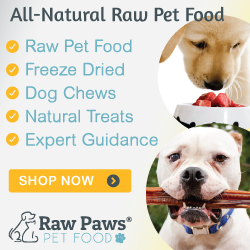 Raw Paws Pet Food offers free shipping, serving calculator, meal plans, guides and more! Shop the highest quality selection of all-natural raw pet food, meaty bones, organs, treats, chews, supplements and more at Raw Paws Pet Food. Our trusted line-up of several Suppliers and Affiliate Partners. A VERY SPECIAL THANK-YOU TO ALL OF THE GERMAN SHEPHERD PARENT'S WHO HAVE ALLOWED THE USE OF THEIR GERMAN SHEPHERD FAMILY MEMBERS PHOTOS TO BE INCLUDED HERE AND THROUGH-OUT THIS SITE. THEY ARE ALL SO BEAUTIFUL! WE ARE SO GRATEFUL FOR OUR BELOVED DOGS. 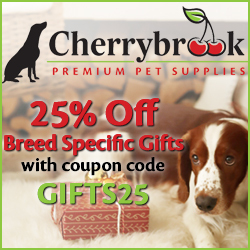 Cherrybrook offers a complete line of quality products that include a wide variety of health, grooming supplies, educational material and a beautiful selection of breed specific gifts for all pet parents and pet lovers. Pet parents can shop with confidence knowing they will receive quality at reasonable pricing. Pet Wellbeing's team include veterinarians, naturopaths and doctors with over 140 combined years of caring for animals, in order to ensure that every batch is tested for the ultimate in quality and potency. This brand is nationally recognized for the utmost in quality control. All of formulas are manufactured in a certified GMP facility. See How Petplan Stacks Up Against Other Insurance Providers specializes in pet health insurance for your dogs and cats. With 40 years of experience protecting our pets in the USA and Canada. Petplan has the expertise to guide you to the best insurance for your dog, and the flexibility to empower you to choose the exact coverage you need. Petplan offers you special personalized policies to meet all budgets and any of your pet's specific medical needs, as well as breed specific illnesses. 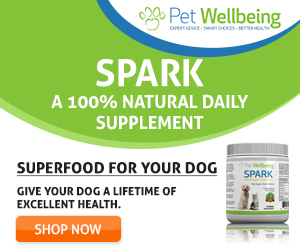 You will find a huge amount of wellness and educational articles at Petplan's website. Curious about pet health insurance? ​​Petplan Insurance - Why do you need us? Find out here! My site is safe to purchase from and if you click on a link to a product you will generally be taken to the Supplier's Website which is also safe. I would really appreciate that in the event that you wanted to make a purchase that you click from my site so that I may receive a small commission from the supplier for promoting their product. In any event, I do hope that you enjoy GERMAN SHEPHERD CANINE as much as I enjoyed building the site. Each subject is listed on the specific tabs of this site located at the top and left sidebar menus, as well as at the very bottom of each page. Photos that I scanned and digital to include my first German Shepherd "Rex", "Lex", "Lex II", "Brandy", "Max" and my boy "Ryker" plus many more from friends of this page and from the many wonderful German Shepherd parent's whose page is Facebook German Shepherd Canine, join us on our Facebook page at https://www.facebook.com/GermanShepherdCanine/. Introduction to Cesar Millan's training to get you and your pup off to a great start and much more!!! I am not and never have been a Breeder and this site does not sell puppies or German Shepherd dogs. I was inspired to build this website after Max passed away.During his senior years I would search Online for information in connection to finding some useful tips, relevant products, facts and stories that I could relate to at that time in order to do the best that I could to help Max be more comfortable in his Senior years. I have been fortunate to share my life with many dogs, large and small, pedigree and mixed through out my lifetime so far. For over 40 years German Shepherds have been f​amily members of mine. The German ​Shepherd thrives on being part of the famil​y, having purpose and responsibility. I have loved them all, no matter what breed and those that have since passed have all given me such special and fond memories that live forever. HELLO and WELCOME to GERMAN SHEPHERD CANINE. All dog lovers, dog parents and friends are welcome here!